This time its a longer ride for Jonathan and myself. Its about 2 years ago we started with the first words and edits for writing this book all over again. The newest 1/3 of the chapters will first have to go through a review procedure where a selected group of anonymous readers are providing feedback. And based on their feedback and what else may come to our attention we can freely do changes to these chapters. Then they join the rest of the chapters. The other 2/3 of the chapters are already moving ahead and are under Mannings strict scrutiny of tech review and proofing. For example chapter 13 has already been through this process. The chapter has a thousand or so, small changes to fix up the grammar, flow of content and just make it enjoyable to read, instead of my 2nd-language english. 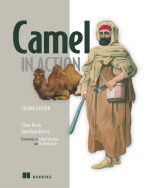 At the same time Apache Camel moves ahead and the upcoming 2.19.0 release is planned for end of April / start of May. This means that we will ensure all the content in the book is up to date with reference to this release. A big part of that is also to ensure all the accompanying source code is fully up to date as well. Likewise Jonathan and I have a TODO list of small items we have noted over the time to go back into the previous chapters to do updates. 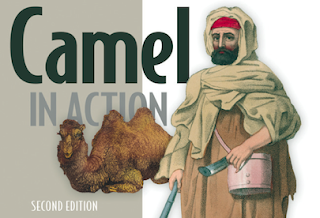 With all this combined we will ensure that all the content in the book is fully up to update and cover as much of Apache Camel as possible. For things that are not possible to cover we will add callouts or sidebars with details and references where you can find more material. And on the good days we will add an example with the source code etc. So there is surely more work for us before we can see the finish line. As they say its not over until the fat lady signs.